My tools need to be mobile because I share my shop with two cars. 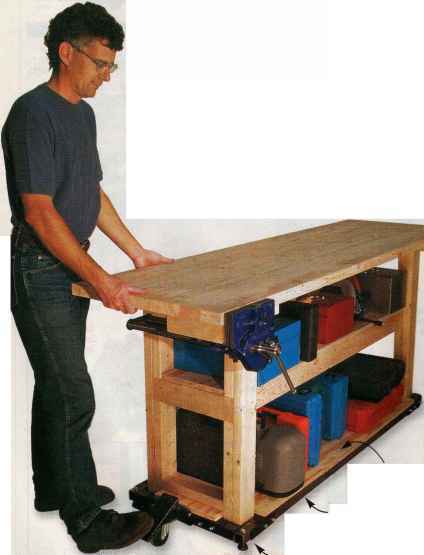 This mobile tablesaw base offers portability and abundant storage. 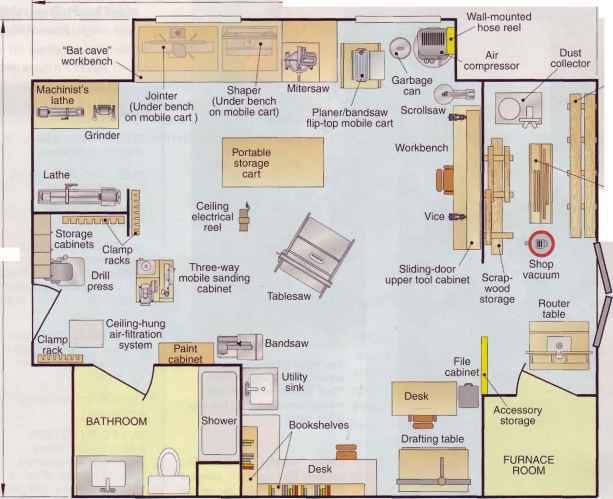 The base provides enclosed storage, including a full-extension drawer for small items. I made a hinged outfeed table and added a couple of wood blocks under the outer corners to provide a place for drilling the leg sockets. The legs are l-in.-metal electrical conduit with leveling feet inserted in one end. When the outfeed table is folded down, I store the legs in a couple of spring clips on the side of the base. The locking casters keep everything stationary when sawing. I used MDF because it's cheaper than plywood and the extra weight seems to help the case absorb vibrations better. I found all the materials at my local home center for about $100.